As we enter into his rest, we have found so many truths in this short amount of time. James has opened up new eyes to see what we should be doing. If you have not read any other day, you really need to. Start the January and finish the January, you will find some great truths in the Name of the Lord. One thing many fear at the end of their life is death. Some who know Jesus and Jesus knows them are not afraid, they welcome the end with open arms. They are ready to see Jesus face to face. But some wonder too, if Jesus will say, "I know you not". You have lived for him, attended church, been involved, but really never really knew him. Do you know Him? Really? Have you stepped and steeped in his word? Have you walked along the road, sat with him, talked with him, worshipped him in your everyday life? If any of those are no, you might want to start now, today without putting it off any longer. When I get to heaven, I want Him to say to me, you did it good and faithful servant. I struggle with today's churches. I mean, really struggle. I have only been in one in the past few years that really, really was doing what they are suppose to do. They were not growing because of what they did, they were growing because of what God was doing. They were intentional. The median age of the people, 23 years old. They had house churches, they had missions and ministry within the church and each other. They worshipped, they prayed together, they grew in knowledge and relationship together. They followed the pillars of what church should be. Word of God- studying it and obeying it. Mission Mindset- sharing with everyone about Jesus, everyone! Regular Expectation of the Supernatural- they came to church expecting God to show up, for the Holy Spirit to rain down on them every time. Embracing suffering - be okay with where you are in your walk. Be okay with what you are going through. I was listening to Francis Chan and this was what struck me. Seriously, I have searched for a place for years. But then it occurred to me, we are to be in the word, not out of it, not in the WORLD, but to be OF the World. I have been reading several books and one of them has just struck me with a hunger that I haven't felt for years. I am praying on it and asking the Lord to open that door. As we complete this book of James, we are reminded of great patience. Patience doesn't come easy for some, the Word of God says we need to go through trials and tribulations to have great patience. I will list some links when we get to the end of this study to help you gain understanding and knowledge and you can move on your own to learn. Seriously, I want anyone and everyone who reads this to walk this journey with Jesus and know him and Jesus to know you personally. I want when you reach the end of your journey of life to know that you did your utmost for His Highest. I have read through this meaty chapter many times, trying to break it down into smaller morsels that I could really grasp. I will try to convey that here as well. Today, I will use the Amplified Bible again. Sometimes having those extra explanations is helpful. If you don't like this version, use your favorite and follow along please. I will be using 3 sets of commentaries this time, Into Thy Word, The Whisper of God, and Wiersbe Bible Study Series. I will add these links at the every end. 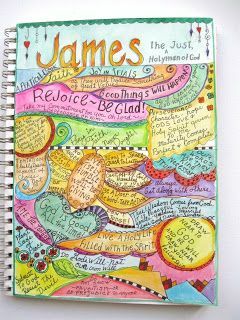 I have found all these to be really helpful in explaining this study of James. Before we start let us life this study in prayer: Lord, Jesus, thank you for your Word, let us soak in it, let us apply what we have learned and what we will be learning, let us walk out your word and help us to not sin against you. 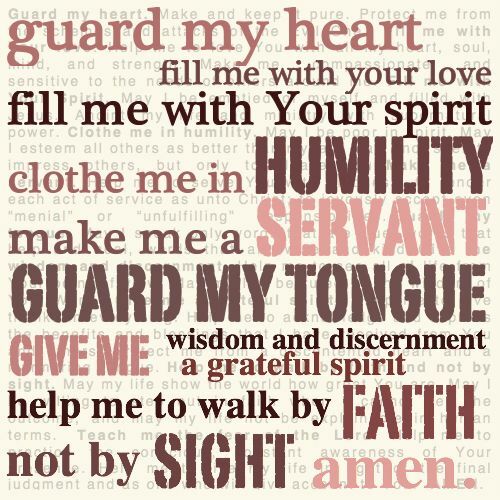 Lord, we have been so blessed to have the access to the internet to help our teachings, our missions and our own ministries, Lord Thank you for those that have written your words, Thank you that they have shared it online for our use. Lord, help us to know you better through your word. In this we pray, Amen. 5 Come [quickly] now, you rich [who lack true faith and hoard and misuse your resources], weep and howl over the miseries [the woes, the judgments] that are coming upon you. 2 Your wealth has rotted and is ruined and your [fine] clothes have become moth-eaten. 3 Your gold and silver are corroded, and their corrosion will be a witness against you and will consume your flesh like fire. You have stored up your treasure in the last days [when it will do you no good]. It isn’t bad to be rich, but arrogance is wrong. Vs. 1-3: What we chase is temporary and will rot, so why would we place our trust in it? Even those things we think are important usually are not! People who place their trust in wealth, accomplishments, education, self, or… are headed for trouble as it takes them away from God just as chasing the devil does; both lead to the same end-separation from God both while on the earth and if Christ is never fully received also for eternity. Even if the person does become saved in Christ, he or she will live a life of waste and no return for that which is important. It will be the evidence to convict us of our sins and leave us earthly and the danger of being eternally dejected, void of hope or meaning. Not the loss of our salvation; rather the notification we never received it (Matt. 13)! · Come now is an exhortation and a "wail." To weep was a graphic way to present your case; here, it shows the veracity of the situation (Joel 1:8; Micah 1:8). · Rich, in this passage, refers to a social class of aristocracy. Wealth, in and of itself, is not condemned here or any other place in the Bible. Wealth can be a blessing from God if we use it as a tool and not as a devotion (Prov. 10:22). The condemnation James gives it implies the abuse of money to oppress the poor. This is a manner of the heart, as our checkbook will show where our loyalty, commitment, and interest abound! · Garments. Clothes were the most expensive possession then, sometimes greater than even a home. Clothes were also the primary symbols of being wealthy (Acts 20:33). Serfs often had only one homemade garment that was more like burlap, while the rich had fine cotton and silk. · Corrupted…rust are general terms that refer to anything that can, and will corrode and decay by rust, mildew, bugs, weather, wood rot, or for anything destroyed by fire. All matter, no matter how valuable, is in a state of decay. In the end it is worthless and meaningless (Matt. 6:19-20). The devotion to wealth comes from selfish motivations, and this selfishness will be used to judge us (Acts 2:17; 1Tim. 4:1; 2 Tim. 3:1; Heb. 1:2; 1John 2:18). · The Christians and Jewish aristocracy who were oppressing the poor were all heinously killed by the Romans after the revolt of 66 A.D. The judgment came for them-personally and totally! 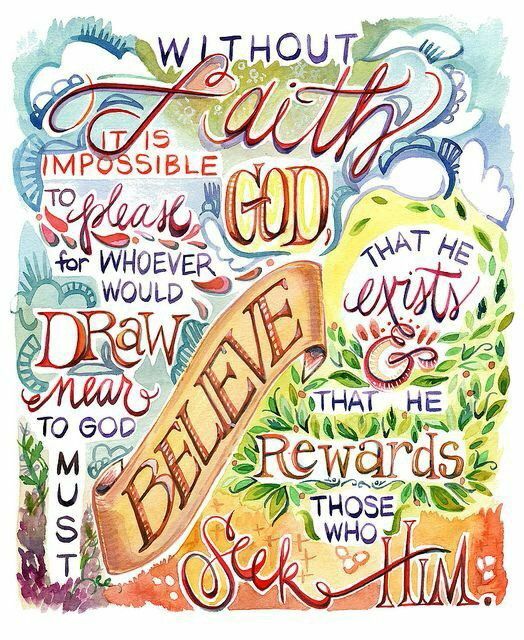 To seek wealth over God and His call is to rob one's self of His precious opportunities and the substance of Himself and of a great treasure in exchange for a miniscule lust (1 Tim. 6:6-10; 17-19). Do you worry? Consider that we have a God who loves and provides. He fulfills us with Himself beyond our expectancy. He will meet our deepest needs. We can trust in Him! If you are a worrier, the call is to worship in place of that worry (Matt. 6:19-34)! Wiersbe Study asks: The Bible does not discourage the acquiring of wealth. In the law of Moses, specific rules are laid down for getting and securing wealth. The people owned property, worked for it and benefited from it. Let's go to Matthew 19:16-24 and see how James' rebuked the wrong use of riches. James' seems to be saying, there are no shortcuts to blessings. What do you think? There is a great difference in enjoying what God has given you and living extravagantly on what we withhold from others. 16 And someone came to Him and said, “Teacher, what [essentially] good thing shall I do to obtain eternal life [that is, eternal salvation in the Messiah’s kingdom]?” 17 Jesus answered, “Why are you asking Me about what is [essentially] good? 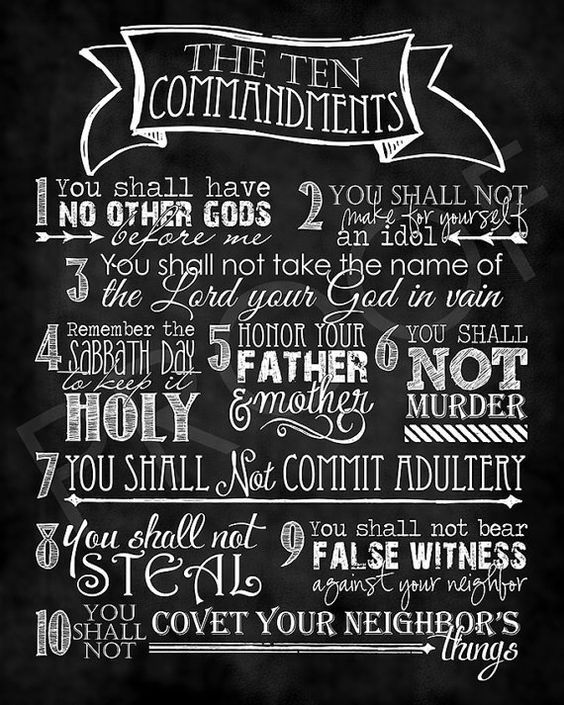 There is only One who is [essentially] good; but if you wish to enter into eternal life, keep the commandments.” 18 He said to Jesus, “Which commandments?” And Jesus answered, “You shall not commit murder; You shall not commit adultery; You shall not steal; You shall not give false testimony; 19 Honor your father and mother; and love your neighbor as yourself” [that is, unselfishly seek the best or higher good for others]. 20 The young man said to Him, “I have kept all these things [from my youth]; what do I still lack?” 21 Jesus answered him, “If you wish to be perfect [that is, have the spiritual maturity that accompanies godly character with no moral or ethical deficiencies], go and sell what you have and give [the money] to the poor, and you will have treasure in heaven; and come, follow Me [becoming My disciple, believing and trusting in Me and walking the same path of life that I walk].” 22 But when the young man heard this, he left grieving and distressed, for he owned much property and had many possessions [which he treasured more than his relationship with God]. Let's continue this journey shall we? What do you think of a camel going through the eye of the needle. 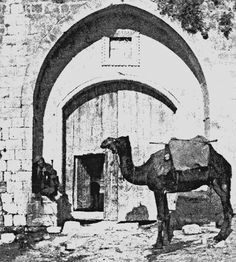 In the days of villages with walls and door ways, the eye of the needle was a very small door that opened up to only the animals. 4 Look! The wages that you have [fraudulently] withheld from the laborers who have mowed your fields are crying out [against you for vengeance]; and the cries of the harvesters have come to the ears of [a]the Lord of Sabbath. 5 On the earth you have lived luxuriously and abandoned yourselves to soft living and led a life of wanton pleasure [self-indulgence, self-gratification]; you have fattened your hearts in a day of slaughter. 6 You have condemned and have put to death the righteous man; he offers you no resistance. From The Whisper of God, She is using the Message Bible here: 4-6 All the workers you’ve exploited and cheated cry out for judgment. The groans of the workers you used and abused are a roar in the ears of the Master Avenger. You’ve looted the earth and lived it up. But all you’ll have to show for it is a fatter than usual corpse. In fact, what you’ve done is condemn and murder perfectly good persons, who stand there and take it. Who do you think the Master Avenger is that James is referring to? James is reminding us that the Lord Almighty hears the cries of the people we do terrible things to. He hears what we say and sees what we do to others. He stands up for the lowly and does not like it when we treat others badly or unfairly to get ahead. Just the same, God hears and sees when we are hurt or mistreated too. How does it make you feel to know God is on your side when you are mistreated? Let's look at the difference: The Amp. says Harvesters and the Message says Master Avengers. Which one do you prefer? 7 So wait patiently, brothers and sisters, until the coming of the Lord. The farmer waits [expectantly] for the precious harvest from the land, being patient about it, until it receives the early and late rains. 8 You too, be patient; strengthen your hearts [keep them energized and firmly committed to God], because the coming of the Lord is near. 9 Do not complain against one another, believers, so that you will not be judged [for it]. Look! The Judge is standing [b]right at the door. 10 As an example, brothers and sisters, of suffering and patience, take the prophets who spoke in the name of the Lord [as His messengers and representatives]. 11 You know we call those blessed [happy, spiritually prosperous, favored by God] who were steadfast and endured [difficult circumstances]. You have heard of the patient endurance of Job and you have seen the Lord’s outcome [how He richly blessed Job]. The Lord is full of compassion and is merciful. Wow! That's a lot right there! Who is the Master we are waiting for? How does a farmer have to be patient? 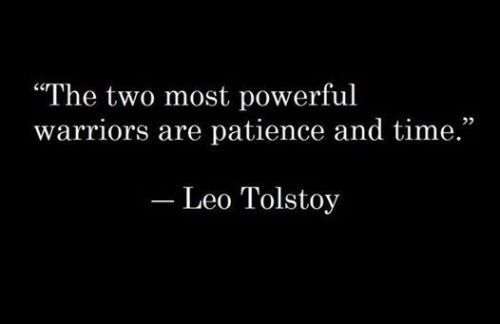 When do you have to patient? Have you ever talked about a friend (gossiped) to someone else? Or has a someone you called a friend complained about you to others? What do Proverbs 11:13 and Proverbs 16:28 say about gossip? No one in the Bible is perfect, except Jesus, but God used them anyway. Can you name some people from the Bible and qualities they have that you should model? Name some good qualities God has given you that you think God could use to honor Him. General idea: This passage is about standing firm, which we can do all the way from sowing the right seed to receiving the greatest harvest of the highest quality. It takes patience to work the land; one must clear the field, plow the dirt, plant the seed, thin the sprouts, clear the weeds, fertilize, irrigate, constantly take care of the plants, trim, pollinate, engage in the on-going endeavors of cultivating the soil, including measuring and evaluating, and then, glean the final harvest. Then, it is time for the next season. This all takes effort and time; it does not just happen overnight at a whim. It is the same with our spiritual formation. We receive Christ into our lives, but that is not the end of the matter. Rather, it is only the beginning! Jesus plants the seed, the Spirit waters it, and then we embark on our great adventure, the cultivation of our own lives by the spiritual disciplines of Bible reading, prayer, learning, sharing, devotions, fasting, fellowship, and the like. Then, we are honed and trimmed so we can grow. This is a slow and glorious process; yes, this is what the Christian life is all about on this earth, as it is about the journey and not the destination. Our destination is already booked and secured; now, we are to concentrate on what to do while we are on our way to His Way! 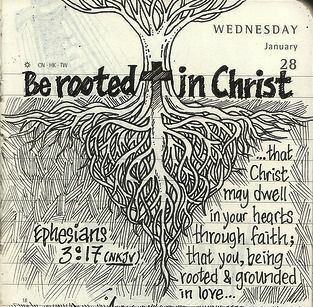 Even when others come against us to exploit and betray us, our purpose is to grow in our security in Christ. 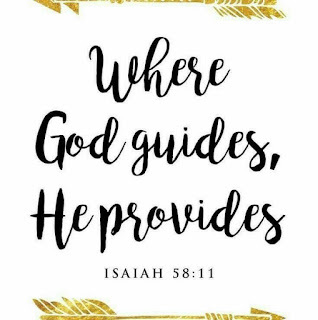 It must be His Way and not our circumstances. Then, our faith will flourish, even in times of adversity and sickness. Vs. 7-8: The call is for patience. God is still in control, even when we do not see it. He will return. 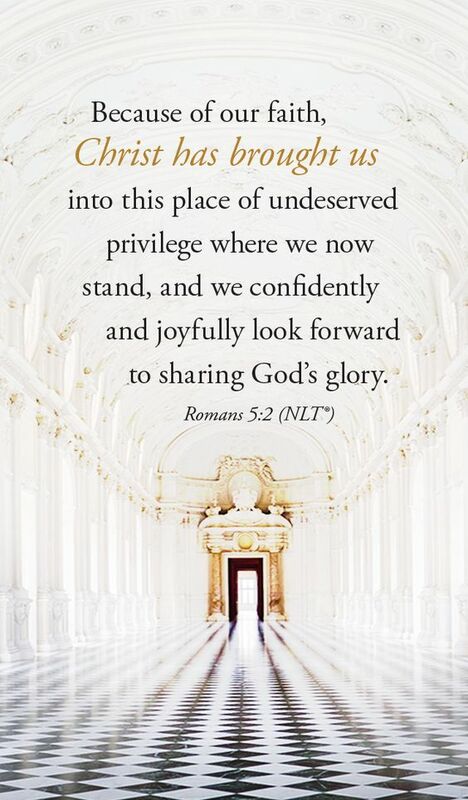 And, even if it does not happen in our lifetime, He is still on the throne and has our very being in His hands. When our eyes are on Christ, then our eyes are not overwhelmed by what we are going through in life. As the farmer looks to the rain, we are to look to the Ultimate Farmer, our LORD. He is our hope because He is our courage! · Patient means "waiting." The context infers waiting for the correction of injustice. We do not automatically receive God's promise, except for our salvation; we have to wait for His timing, which is the best timing (Luke 18:1-8)! Those who transgress-who sin-will be judged! We can wait because we have hope in the greater purpose which is unfolding for us. · Coming of our Lord, also called in Scripture the "last days," means the "Messianic era." It does not necessarily mean that time is running out. It is not a "time" reference but a period in time. Because of the phrasing in the English, a lot of spurious doctrine has been read into this phrase that is just not there in Greek syntax or meaning. Last days was inaugurated by the incarnation of our Lord (Matt. 1; Acts 2:17; 1 Tim. 4:1; 1 John 2:18). This refers to the new and unique "covenant" (some call this dispensation) in contrast to the period of The Law. The point is that God's unfolding revelation for us is His grace, giving us His fullness and the finality that is to come. Whatever eschatological view you have, all biblical views look to Christ's second coming as the next great event in our redemptive history. Nowhere in the Bible are we given a timeline of when it will take place-just that it will. We are called to always be watching for it, but not be so obsessed by it that it takes us away from the main call of building His Kingdom and discipleship! Most of the Disciples, including James, expected the impending return of our Lord in their lifetime. · Farmer, and his work of cultivation and harvest, are images of growth and the Day of Judgment (Matt. 12:36-37; 24:36; 25:31-46; Mark 13:32; Acts 17:31; 1 John 2:28; 4:17). This parallels the parables of Jesus in Matthew 13. A farmer was totally dependent (back then) on the rain, soil, and such for his crop. In like manner, we are totally dependent on God for our salvation and assistance in our spiritual growth. However, both we and the farmer still toil in the efforts to make it come about. · Precious/valuable means very important and valuable, as it is a fruit of the earth to give us sustained life. · Fruit of the earth/yield its valuable crop is an image of harvest, referencing judgment; it is good for the elect, but bad for those who reject Christ (Matt. 13). · Latter/Autumn...Spring rains. In Israel, these rains come in October and November which amounts to three-fourths of the total yearly rainfall after the grain is planted. If these rains come early, the crop cannot be planted in time and the seeds will wash away. The spring rain comes in March and April just prior to harvest. Without it, the seeds never germinate. If it comes at the wrong time, such as the harvest time in June, the crop is ruined (Deut. 11:14; Jer. 5:24; Hos. 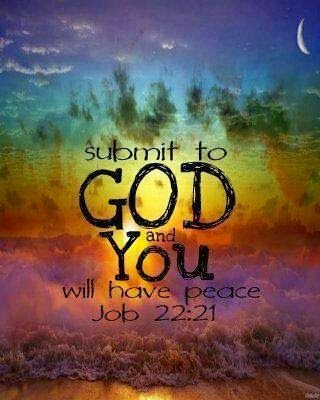 6:3; Joel 2:24). I like the explanations for this. It helps me to understand what James is telling and teaching us. Quite a bit to take in right now right? But we are almost finished with this study, so let us go out strong and faithful. 12 But above all, my fellow believers, do not swear, either by heaven or by earth or with any other oath; but let your yes be [a truthful] yes, and your no be [a truthful] no, so that you may not fall under judgment. 6 Therefore, confess your sins to one another [your false steps, your offenses], and pray for one another, that you may be healed and restored. 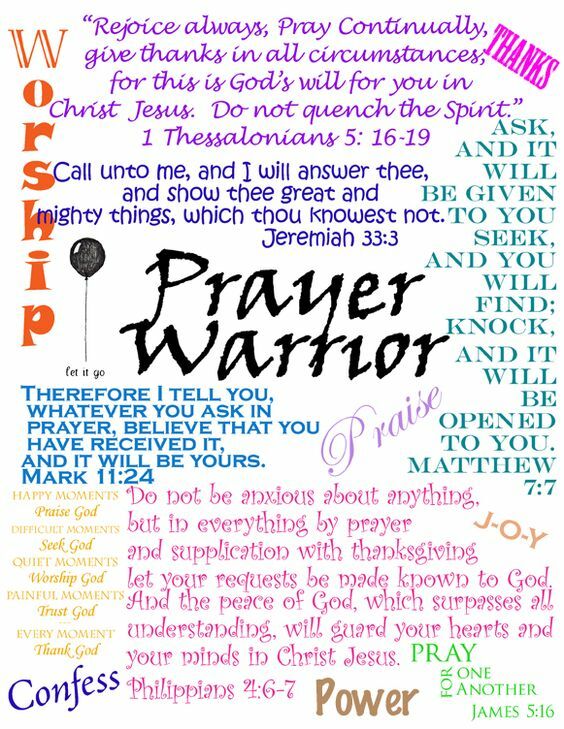 The heartfelt and persistent prayer of a righteous man (believer) can accomplish much [when put into action and made effective by God—it is dynamic and can have tremendous power]. 17 Elijah was a man with a nature like ours [with the same physical, mental, and spiritual limitations and shortcomings], and he prayed [d]intensely for it not to rain, and it did not rain on the earth for three years and six months. 18 Then he prayed again, and the sky gave rain and the land produced its crops [as usual]. 19 My brothers and sisters, if anyone among you strays from the truth and falls into error and [another] one turns him back [to God], 20 let the [latter] one know that the one who has turned a sinner from the error of his way will save that one’s soul from death and cover a multitude of sins [that is, obtain the pardon of the many sins committed by the one who has been restored]. In Exodus 20 (The 10 Commandments), what commandment says we should not take the Lord’s name in vain? What should you do if you are hurting? What if you feel great? What about if you are sick? Have you ever prayed for a sick friend? What will happen if you have sinned? James gives us a formula to practice daily. 1st we should C____________ our sins. 2nd we should P___________ for each other. Where Elijah’s prayers answered? Check out 1 Kings 17 to read more about Elijah’s story. Should we turn our backs on friends and family that have strayed from God? What are some ways we can help them come back to God? Make a list of friends or family you can pray for over the next year that have strayed from God. Look up 1 Peter 4:8. Write it out on paper and illustrate it. Memorize this week. General idea: What are we to do first in all situations? Is it to complain? Argue with one another? Be stressed? NO! We are called to pray, as prayer not only sets the tone for our behaviors and insights, but it also brings Christ into the picture with us more powerfully and effectively. It is not about getting what we want, as we may get a yes, or a no, or maybe a call to wait for the right timing. This passage is a series of calls to prayer. We are all indeed called to prayer; it is not a talent, a special ability, or a spiritual gift. It is not for certain occasions or with certain postures. Rather, it is the communication through which we encounter our loving, living Lord! Prayer is a call, to not bend our knees, but to bend our heart, and for this call, we need to know the veracity and importance of it. These are not necessarily formulas, but encouragement that will lead us to pursue God! When we seek Him, we are ready, along with others, to engage in the actions of appeal and request to God for people who are in need and sick. We can pray for forgiveness, for our nation, show our gratitude-even pray for the weather. Thus, in all things, we are to be both in personal prayer and collective prayer with other believers. Prayer is not just a means to get what we request; it is the means to line us up with God, His precepts, and His presence. Prayer can meet all things and needs; prayer can and must be a significant part of anything we will ever face in life, from the trivial to things of utmost importance! We can have confidence that our prayers are heard and answered. No matter what we need or face, we have Christ! Thus, we must preface, surround, and empower all that we do with prayer. It is never to be an afterthought; rather, it must be our first thought, our principle action, and our primary plan. Vs. 13-15: Prayer is not just an exercise we do. Rather, it is the active communication we have with God; it is the most important act for us in any matter or endeavor. Prayer is not about our will; rather, it is a means of seeking His (Matt. 6:33). Prayer does not just prepare us for ministry and service; prayer is our ministry and service. Prayer is not just a means of preparing us for the encounters and battles of life; it is the battle! Prayer is more about being the greatest work we can do than about the results we receive from it! Remember, our obedience is what is important, not how others respond to us. We are even called to bless those unreasonable people, and we do that, as we mature, by remaining true to His Lordship. You cannot be responsible for how others respond and treat you when you are acting in godly character (Romans 12:14-21). · Suffering here means "in distress," and includes physical sickness, being stressed out, or having emotional and/or personal problems. To the person in this situation, hope seems to be missing and relief is absent, but when we come to them, we bring the hope and relief! · Sing songs means praising our Lord, in unity, with a willing, loving heart. This is an aspect of real worship and music, which is never a show; rather, it is a response of our love giving praise. We, as a congregation, are the performers, and Christ is the audience. Real, authentic worship is to be inspired by who Christ is and what He is doing in us. It is not about form or function or type; it is about our hearts showing our love to Him. Prayer and worship share the same heart and attitude (Eph. 5:19; Col. 3:12-17). · Sick. The call for us here is to engage them with love and care; it is not about the healing, although, whenever possible, we are to seek the best and continual medical attention. It is more about showing our love coming from His love. Also, the call for the sick person is to make sure others know they are sick so others can respond. · Elders are the people selected to be in charge of the local church, whose call is to train, care for, and administer His love and precepts to the rest of the congregation. They must have the qualities of Christ working in them before they can help others. The connection is that the elders should be the primary ministers to the people of the church (Acts 14:23; 20:17, 28; 1 Tim. 3:2-7; 5:15; Titus 1:5-16; 1 Pet. 5:1-4). · Anointed with oil has two meanings: "the healing power of God," a call, and also to "seek medical attention." It is not a ceremonial procedure, although it can also infer actually applying oil to the person and praying over them. We are called both to pray and to seek medical attention (Isa. 1:6; Mark 6:13; Luke 10:34). Power of faith refers to trusting in God and then being faithful towards our intercessory duty to others. It does not mean a "special power" as some have proclaimed; rather, it is a call to action to show our Christian community and faith displayed in our care toward one another. Yes, God does heal today, but healing is not guaranteed or even normative. How we respond and learn is what matters to God over all else, even an actual healing. If your body is healed and your mind and heart are not centered on him, what good is it; it is merely temporary and of no eternal use. Committed sins. James is not saying all sickness is from sin, as some Jewish Rabbis thought; harboring resentment and unforgiveness actually deteriorate the body and mind. Seeking forgiveness is very restorative to the soul and body! Sometimes, though, God can cause us to be sick to get us out of sin, as it is far better to be stooped by sickness than to create a much worse environment for ourselves and others. Sin is the biggest barrier between us and God, and prevents God's work being received by us. Confession breaks these barriers (1 Cor. 11:30; Phil. 2:25-30). What is prayer? It is receiving the amazing, redemptive work of our Lord and God, Jesus Christ, so His power and purpose flow through us and into others. Prayer is spending time and talking with God, expressing our heart to Him, and interceding on behalf of others. It is meant to be exciting, powerful, and fulfilling. Just like a phone conversation, prayer is not a one way communication. God will speak to us, not as a burning bush, but in quiet ways; so, we must also listen. And, of course, always compare to Scripture what you think He said, as He will never contradict Himself. Then, you will be able to distinguish between your desires and His precepts. There is no need we can ever face that prayer cannot meet; there is never a problem we go through that prayer cannot answer! Vs. 16-18: Ask God, be real, be honest, be yourself, and make sure your motives are right. We are never to seek to manipulate God to get our way, just as we are not to do so with others. In this spirit, we can come to one another and seek accountability and reconciliation. We can confess and be on guard with sin, so it stops and does not fester or escalate. And, as Elijah demonstrated to us, always remember that a righteous person is a praying person; we cannot do anything of meaning or significance for our Lord unless we are a person and a church of prayer! · Confess. We are called to be accountable to one another, to state what we are going through and struggling with to someone in confidence who will listen and help guide us by His Word. It is not about going to a pastor or priest, but to God directly, and with accountability, to another trusted person, small group, or mentor. We cannot do the Christian life by ourselves; it is not a spectator or an individual sport! Christianity is not for lone rangers, it is for community! · Righteous man means a person who is rooted in his or her faith to Christ and has a growing prayer life that also shows up in his or her behavior. · Elijah, in 1 Kings 18, was a miracle worker. James uses him as an inspiration and incentive to the power and prominence we have available to us. Elijah represents the "everyman," who, by his prayer life, was powerfully used by God (1 Kings 17:1; 18: 1, 41-46; 1 Sam. 12:17-18)! Many misguided Christians will say to another Christian who is ill or going through troubles, that he or she does not have enough faith or that he or she has unconfessed sin in his or her life and that is why the sickness has come; then they use this passage to back up their uncaring and insensitive claims. But, this is not what James is saying! It is not about the healing; it is about showing the love and care of our Lord. Making statements such as these does otherwise, and misses the call of the Scriptures! If you are earnestly praying, and perhaps are frustrated that you have not received an answer or the answer you desire, remember: while you are waiting, God is working (Matt. 21:22; John 14:14)! 4. Is there sin in my life for which confession and repentance is needed? 5. How can I be changed, so I can learn and grow? 1. What do you do when you are facing hardships? How is prayer a part of these experiences? 2. What is prayer to you? How much of your prayers involve listening to God? How can you do this in a better way? 3. What are we to do first in all situations? What causes you to go first to the art of complaining or arguing, or be stressed? 4. How does prayer set a tone for us in our behaviors and insights? How can prayer help your church or relationships? 5. Why do some Christians feel that prayer is all about getting what we want? How do you feel about that? What can be done to show people the primary purpose of prayer? 6. How does prayer become the means to line us up with God? 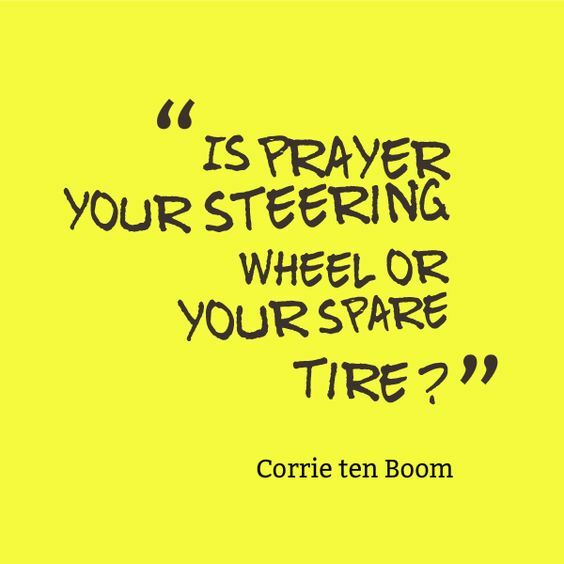 What can you do to make sure your motives are right with prayer? 7. Do you believe that prayer can meet all the things and needs that you will ever face? Do you have the confidence that your prayers are heard and are answered? How can you have more confidence in prayer? 8. How does trusting in God and being faithful help you in being effective towards your intercessory duty to others? 9. How do you feel about people claiming they can heal? Have you seen or experienced it? I definitely believe that God heals today and have seen amazing things! However, did you know that in Scripture, healing is not guaranteed or even normative; it is about how we respond and learn that matters to God over all else-even an actual healing? How can this fact strengthen your resolve and faith in Christ? 10. How does harboring resentment and unforgiveness deteriorate your body and mind? Can you give an example? 11. How does knowing that God can cause us to be sick to get us out of sin keep you motivated in the right direction? 12. What can you do to make your prayer life more time invested, more exciting, more powerful, and more fulfilling? Lastly: We are called to come together. Do not let bad situations or bad people get you down, nor cause you to compromise biblical precepts or your character! Never close the Bible or neglect prayer; your spiritual journey and your trust and growth in Him will be your anchor to weather the storms. Do not allow yourself to suffer in your spiritual pilgrimage because of someone else. Remember, the church is filled with hypocrites because you and I are there. We are not perfect; we make mistakes. People, including Christians, will always disappoint you, but God will never disappoint you in reality. You are still God's special child (Col. 3:1-4)! Do not let yourself fall to the world's way, regardless of what the other person does. Do not allow the misguided ways of others get you off of God's path. Even if you are angry with God, He still loves you and has His best for you. Give your hurt and those who have hurt you over to God; He is the one who dispenses justice and revenge, not you (Hebrews 12:6)! WE ARE DONE with James, so what did you get out of it? Time wasted? I certainly hope not as reading God's Word is never a waste of time. It is to teach us what is true and right and right living. It's to give us the greatness we are and who we are to become. It is written for the right now, the right then and the future. It is the everlasting Word of God. What are your take aways from this study? What can you do with what you have learned?